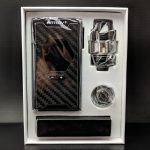 Here’s a look at a new kit sent over from Buybest for review. 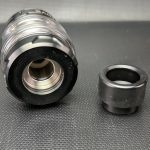 Buybest are a competitor to companies like Gearbest and Fasttech and offer a wide variety of products and not just vape related stuff either. 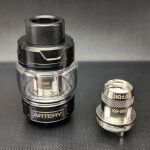 The kit is made by Artery a company out of Shenzen probably most well known for their Nugget line of mini mods. 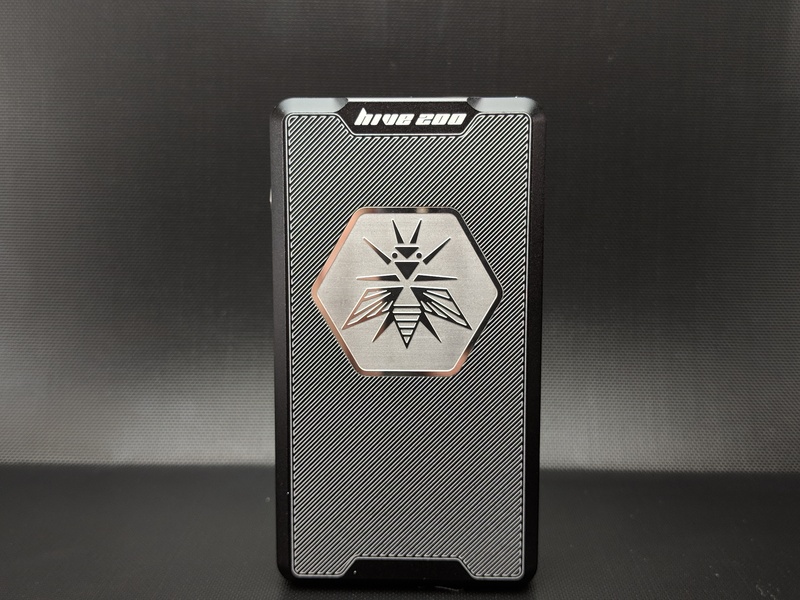 It’s called the Hive 200 kit and I believe it’s the most powerful mod they’ve released yet. 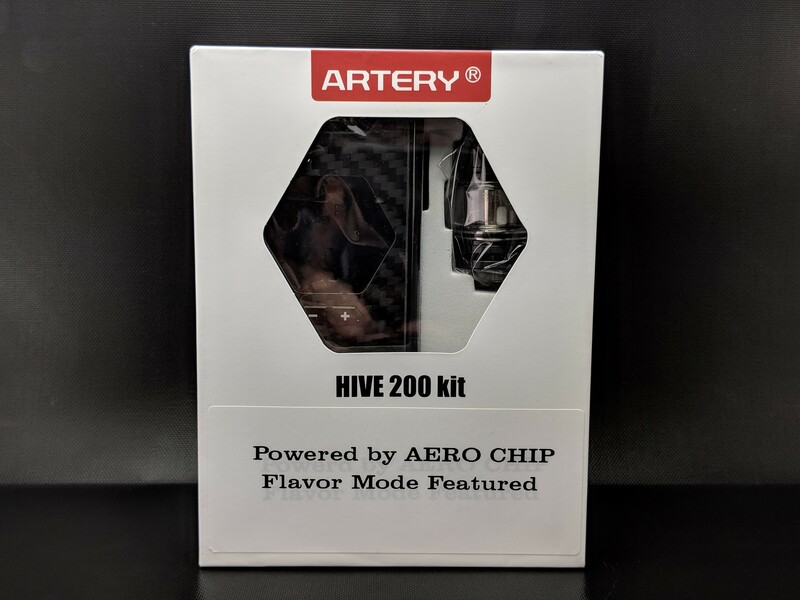 Here are my honest thoughts on the Hive 200 kit from Artery c/o Buybest. The kit comes packed in a white cardboard box with a window on the front so you can see the product within. 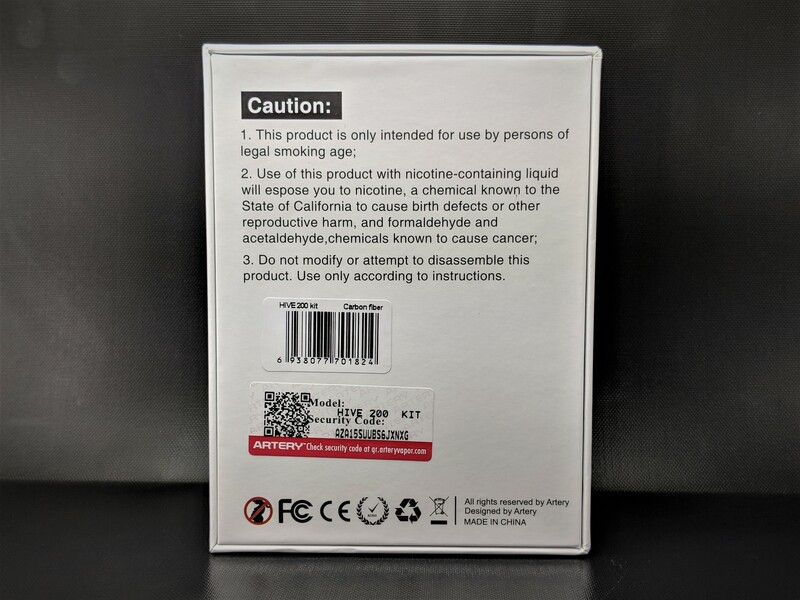 On the back it’s just got a basic warning with a couple of stickers to identify the product within. Inside the kit the mod, tank, spare straight glass tank, spare coil and accessory box are all safely packed in a thick white sponge insert. 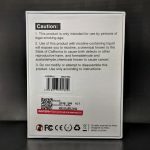 In the kit you also get a user manual for the mod, a manual for the tank, a chipset card, a warranty card and QC card. In the accessory box you get a set of spare orings and a micro USB cable for charging. The kit includes everything you’d need to get started and includes some pretty good instructions in the kit so no complaints here although I wouldn’t mind seeing the contents listed on the back. 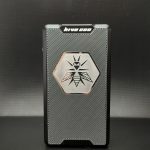 The Hive 200 mod is a dual 18650 regulated mod with a classic rectangular shape that’s made mostly of aluminum alloy and resin depending on the version you got. 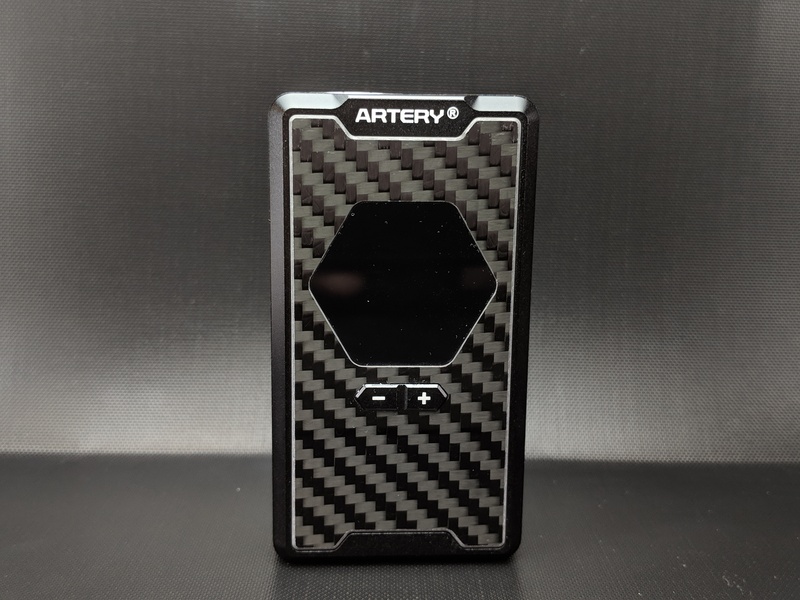 I got the carbon fiber version which has a carbon fiber inlay on the front panel. 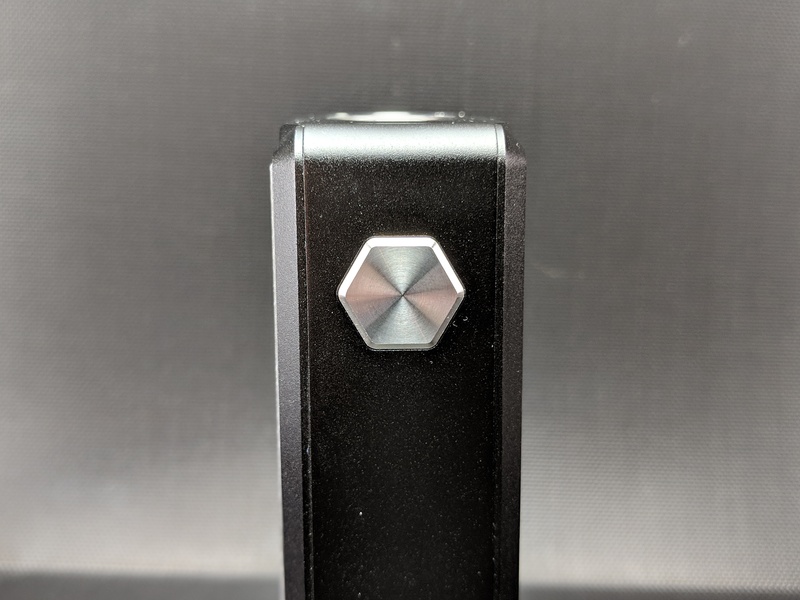 While it’s not the smallest device I’ve seen it’s fairly compact for a dual battery mod. On the back it’s got an etched pattern that not only spruces up the device but adds a little bit of texture to it as well. Dead center on the back is a large hexagonal shape bearing the image of a Bee which is a tribute to the name of the device. At the top on the back it also says ‘hive 200’ where on the front it says ‘Artery’. The styling is pretty bold on the back but everywhere else it’s fairly subtle so it’s appeal will really come down to personal taste, bee keepers will obviously love it. The back panel comes off to reveal the battery compartment and it’s held in place by a series of strong magnets. There is just the tiniest and I mean tiny amount of play in the door but it wasn’t enough to bother me at all. 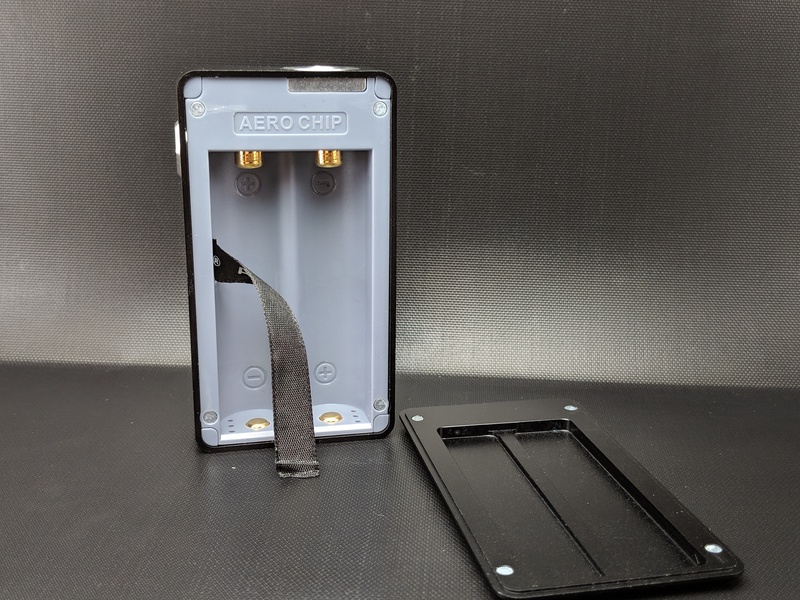 Inside the battery sled is well labeled for positive and negative and it also bears the name of the chip inside the ‘Aero chip’. A little ribbon helps with removing batteries when it’s time to change them. 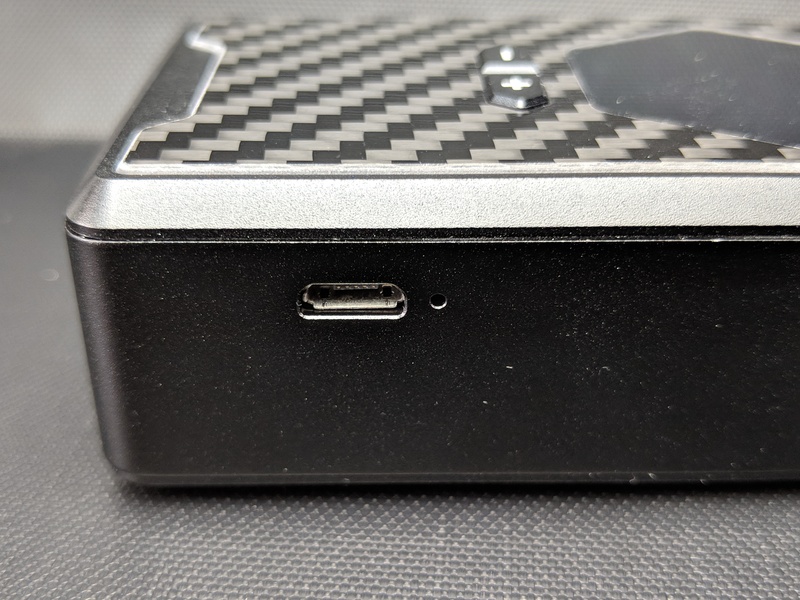 At the very top of the device is the 510 connection. It’s stainless steel and secured to the device with two torx screws and feels solid with nice smooth threads. It’s got a gold plated spring loaded 510 center pin and all of the gear I’ve tried on it has sat flush. 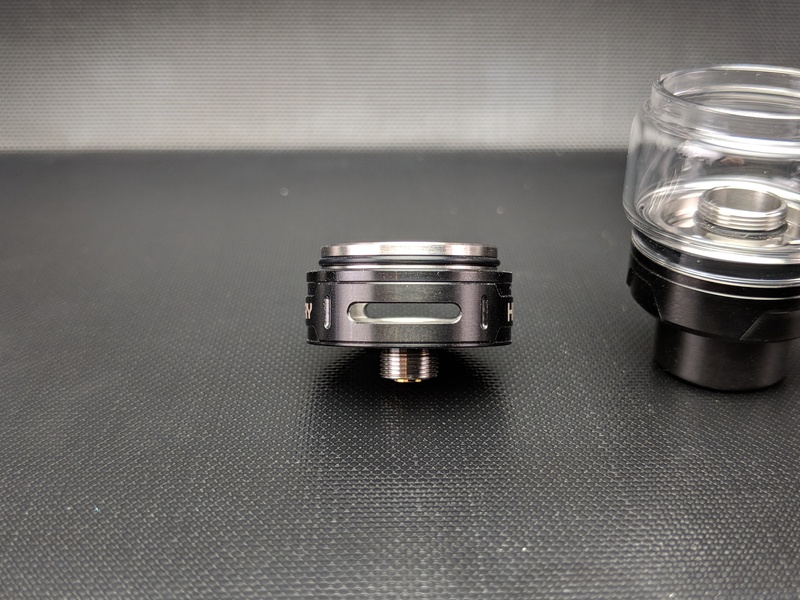 The mod is 28mm thick but because it’s a bit tapered at the top and because of where the 510 is situated anything over 24mm will have a bit of overhang where the middle bulges out. 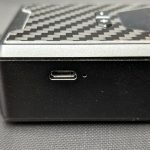 Oddly enough they decided to offset the 510 connection but the device actually bulges out in the middle almost like they considered centering the 510 but then moved it to the side opposite the fire button. If they did have it in the middle it could have fit bigger gear without any overhang. 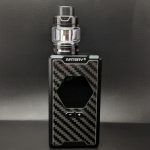 Down the face of the mod is a hexagonal shaped window where the 1.3″ full colour TFT screen resides. The screen is fairly bright but it might struggle a bit in direct sunlight even at full brightness as it appears to have a slight tint to it. It’s really well laid out and easy to read and it sports one of the nicest menus I’ve ever navigated. At the top of the screen it shows the name Artery, below it the mode it’s currently in and then power or temperature depending on the mode but will also display watts if in TC mode. Just below the power it shows the current resistance and the volts it will fire at while on the far left it shows a puff timer and on the far right a lock to indicate when the buttons are locked. Everything in the menu is hexagonal to go with the hive theme. I couldn’t capture it because of the refresh rate but you an check it out on their site. Just below the screen are the two adjustment buttons. They’re marked + and – and are nice and clicky without any rattle to them. 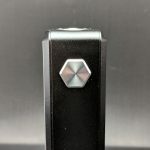 The fire button located on the side is made of aluminum and is also hexagonal in shape. It’s easy to find and fire with either your thumb or index and it too has a nice clicky responsive feel without any rattle. On the side opposite the fire button is a micro USB port with a little LED light to indicate when it’s charging. It also supports firmware updates which is always a nice feature to have. It doesn’t list quick charge as a feature but I found it charged around 1.5A so it should charge up fairly quick depending on the batteries you have installed. 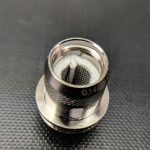 On the very bottom of the mod there are CE markings and two sets of vent holes should anything go wrong. 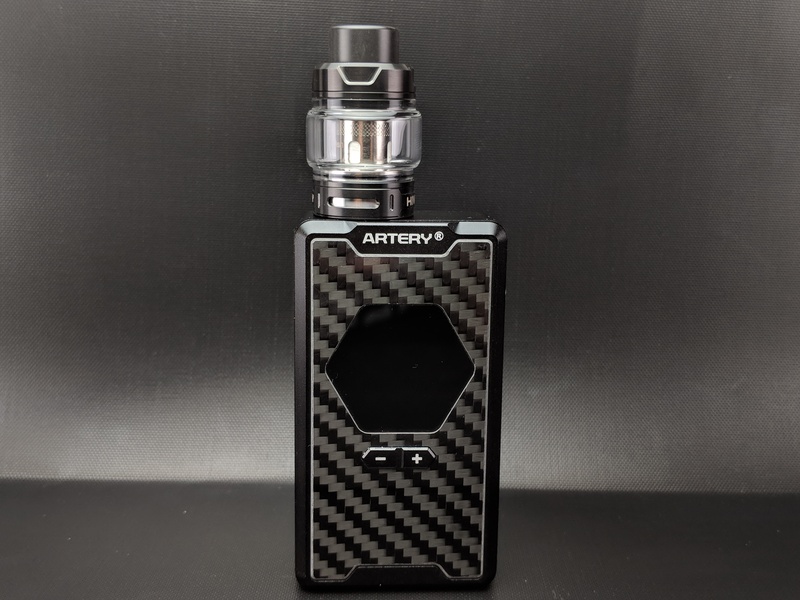 It’s a decent looking mod but something about it’s design feels just a tiny bit dated. 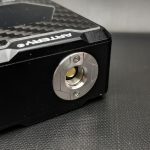 Operating the device is quite simple and will feel familiar to almost anyone who’s used a regulated mod before. It boasts a 0.01s fire time which seems instant to me. It uses the usual five clicks to turn it on and off and three clicks to enter the menu. Holding both adjustment buttons locks the device while pressing fire and + locks just the adjustment buttons. When the device is powered on four clicks will bring up a colour option menu which will let you change the colour of the majority of the text on your screen but a few elements stay static like the decorative lines. In the main menu you’ve got options for Power Mode, Tempture, Flavor, Voltage, Brightness, Power Off and Exit. 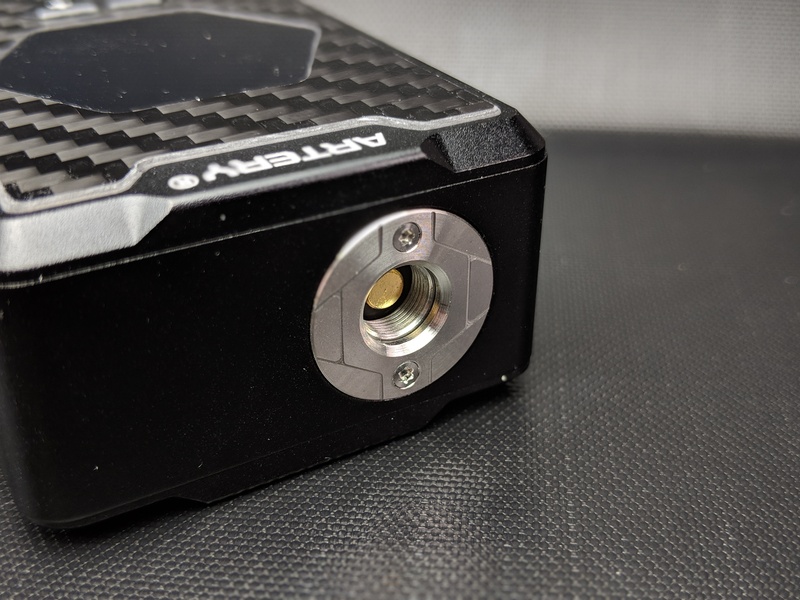 In Power mode which is essentially variable wattage mode you have options for regular power mode or you can set a pwr curve. In the Tempture which is temperature spelled wrong you’ve got options for Ni, Ti, SS and TCR. When you select one of the TC modes it asks you to set your max wattage before entering the mode. Flavor mode is an unusual feature and when you select it you have options for fruit, cream dessert and tobacco. The idea is that it will enhance the experience with a particular flavour profile if you select the corresponding option. After playing around with it I honestly can’t tell exactly what it’s supposed to be doing. Maybe it’s delivering power with a slightly different signal or something but it doesn’t seem to adjust the wattage or use any kind of noticeable curve but you do notice a slight change from mode to mode. Whether they really have any impact on a particular type of flavour I would struggle to say one way or the other as the change between each profile seemed very subtle so until it’s further refined it could just be considered a bit of a gimmick. 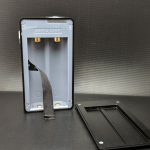 You also have the option for variable voltage which isn’t as common as it used to be but is handy for some folks who prefer to look at things in volts as opposed to watts. I ran the Hive 200 through my regular series of tests and from all accounts it seems to perform accurately in both power and TC modes. I did prefer TCR over the SS profile but it still worked as I’d have expected. The Flavor profile thing didn’t really win me over and for the most part it just felt like regular power mode, maybe a bit hotter with a particular profile but it was a modest difference. Using the device and navigating the menu is simple and intuitive and pretty much anyone should be able to manage it within a few minutes of use. 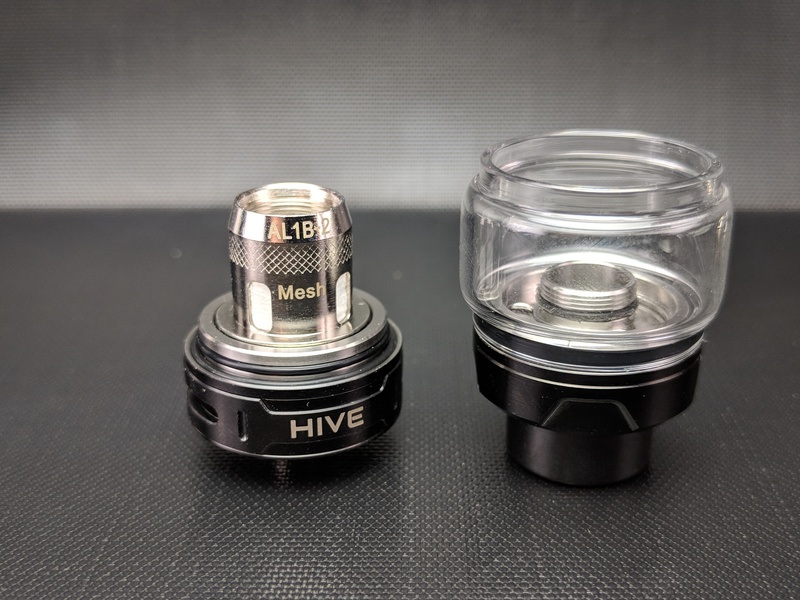 The tank that comes with the Hive 200 kit is called the Hive tank. 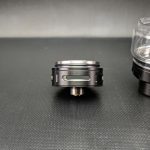 It’s a 24mm diameter tank made of stainless steel 4ml with the bubble tank and 3ml with the spare straight glass tank. It’s top fill with a screw off top but lacks any quick turn or easy off features like many of the other modern tanks. The fill ports however are huge and well recessed so filling it up is a mess free breeze. 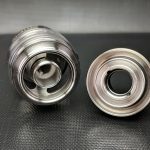 You can take it apart for cleaning but you’ll usually need to empty the tank to replace the coils as the upper tank piece is held in place by the coil itself. 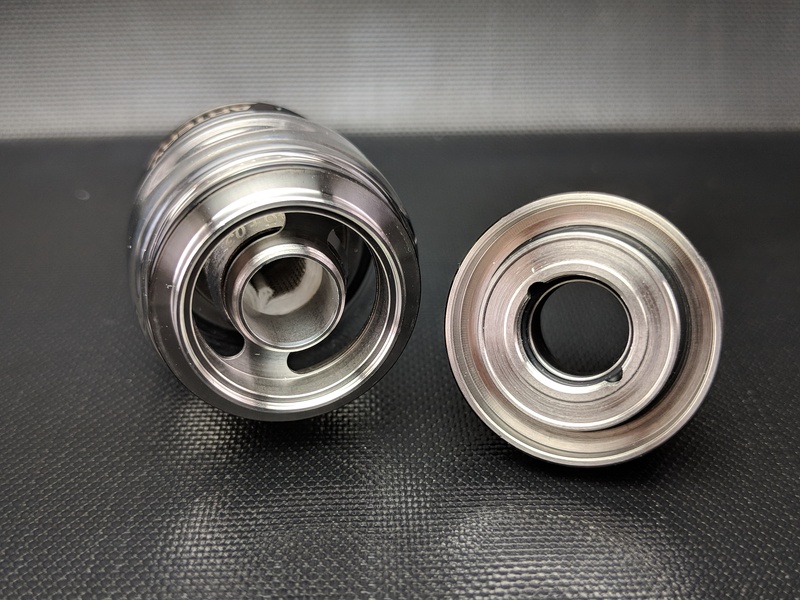 It’s a bottom airflow tank with two cyclops style slots that you can adjust by turning the AFC ring. It’s nice and firm so it won’t slide around on it’s own but is still easy enough to adjust when needed. 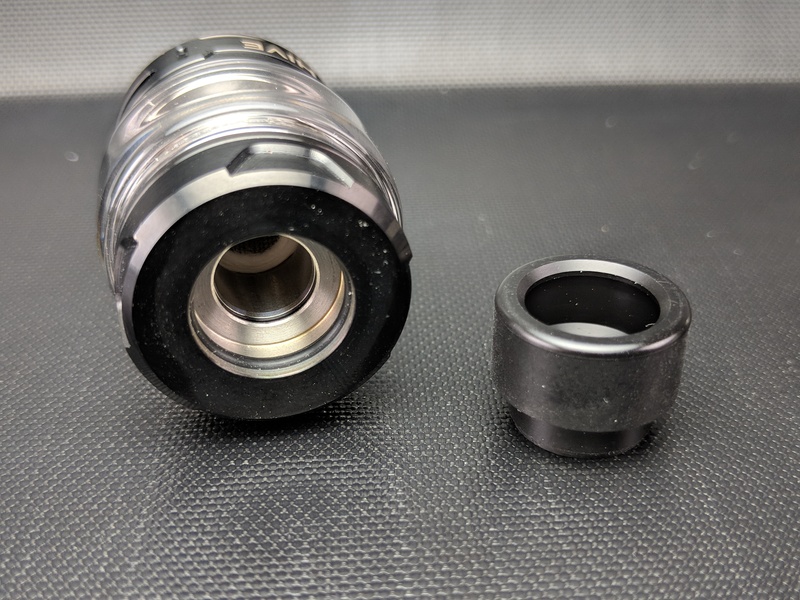 It comes with a delrin 810 drip tip that’s nice and comfortable but no adapter if you prefer a 510 tip. The branding on the tank is pretty subtle with Hive one side and Artery on the other. 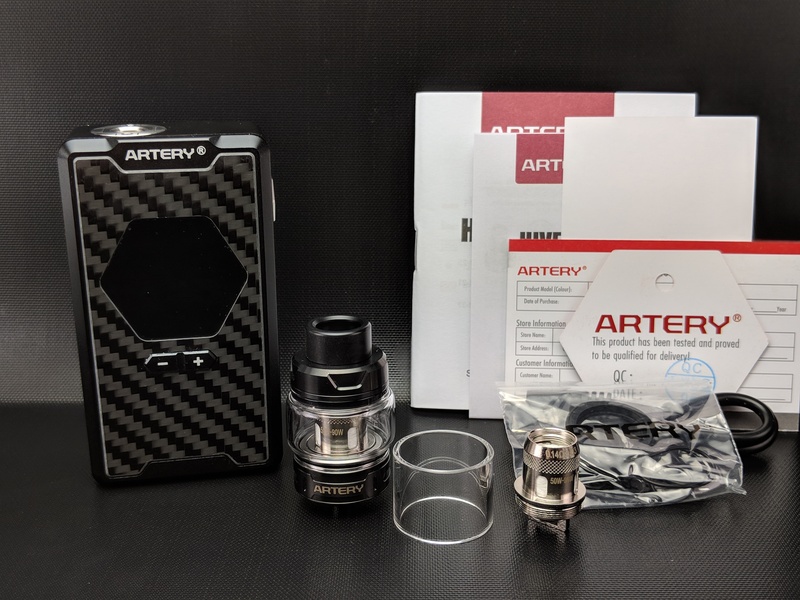 It matches up nicely with the kit and is a pretty straightforward tank to setup and use. 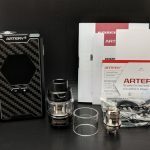 Both of the mesh coils that come with the kit are rated 0.14ohms with a recommended range between 50 and 90w. I found they run great right around 70w delivering fantastic flavour and a fitting amount of vapour. 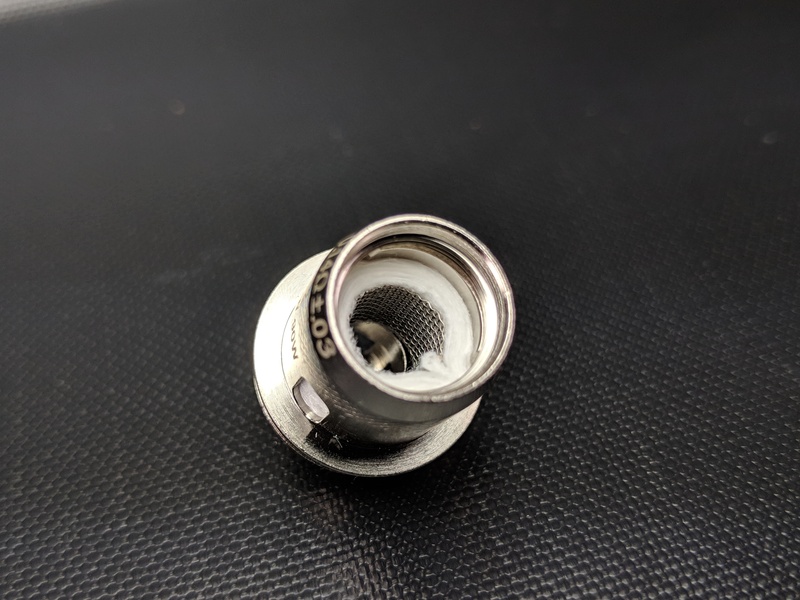 Break in time was minimal and of all of the mesh coils I’ve tested so far these ones have leaked the least. 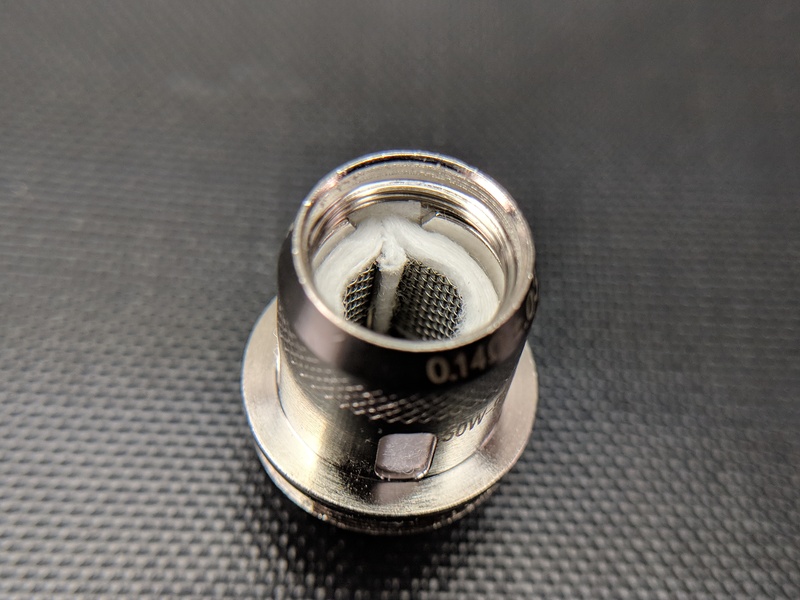 Most mesh coils I found if left sitting for extended periods would usually leak, so far with the Artery coils I haven’t once found the airflow full of juice like I have with some others. 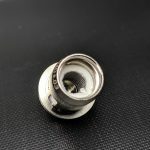 I’ve been using the first coil for about three weeks now and it’s still going strong but it was with a relatively clean flavour so results may vary. 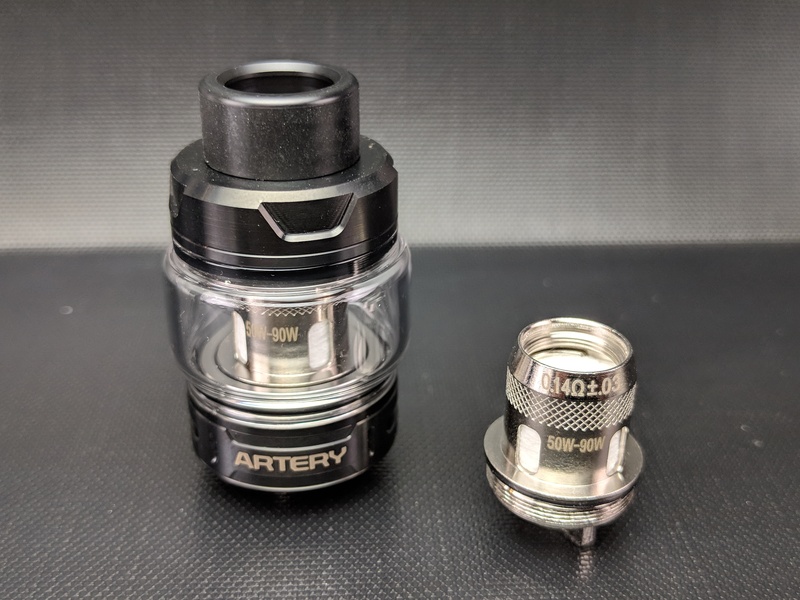 As with any coils individual results will vary based on juices used, personal vaping habits and QC on the coils themselves but I have to say I’ve been quite impressed with these Artery mesh coils. 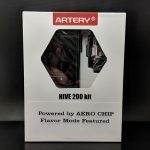 The Hive 200 kit is a solid piece of kit. 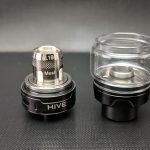 It includes all of the stuff you’d need to get started and the tank and coils it includes perform great with the Hive 200 mod. All of the cons I listed are negligible and the kit feels solid and well built. 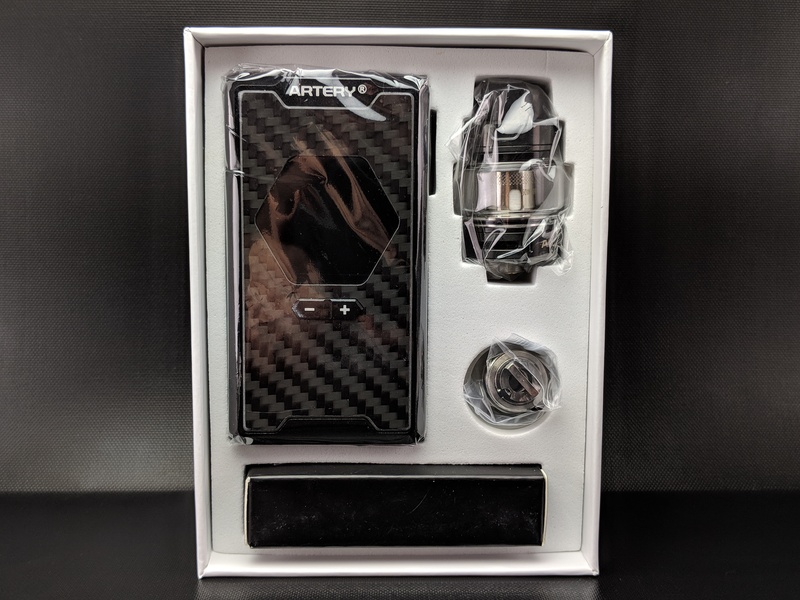 I think this kit would do well for anyone looking for a solid dual battery subohm kit with really good performing mesh coils. 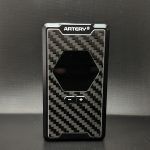 So huge thanks to the folks at Buybest for sending this over and for Artery for producing this interesting new device! !